SACRAMENTO, Calif. (CN) – With California lawmakers scrambling to implement new policies after voters legalized recreational marijuana last November, the state’s legislative analyst on Tuesday cautioned against tossing millions at a regulatory plan that isn’t fully hatched. In a new report, the analyst’s office advised Gov. Jerry Brown to scale back his budget proposal to fund new statutory programs for taxing and regulating cannabis partly through a $62 million general fund loan. The report found it’s still unclear how much the new regulations will cost to implement and that there are differing opinions on how many new pot retailers will open once the statewide regulations are announced and implemented. Along with the cloudy state regulatory framework, there are vague signals coming from the Trump administration about whether it will strictly enforce federal drug laws, the analyst warned. Furthermore, the analyst says Brown is likely to introduce his solution through a series of “budget trailer bills.” The controversial maneuver fast-tracks proposals and restricts public participation while eliminating much of the legislative process. State Republicans have bemoaned the majority party’s use of trailer bills for years, claiming the tactic locks them out of California’s complex budget process. In 2010, voters passed a constitutional amendment that nixed a clause requiring a two-thirds vote by the Legislature to approve a new budget. Since then, Brown and state Democrats have been able to pass budgets via simple majority and without much Republican support – although the delays in passing budgets that were inherent in the old system are now a thing of the past. Colorado Gov. John Hickenlooper lent some regulatory advice to lawmakers on Tuesday while testifying at a state Senate committee hearing in Sacramento. He said rushing together a regulatory system just one year after Colorado voters legalized pot in 2012 was “one of the hardest things” that Colorado lawmakers have done. Hickenlooper, who initially opposed Colorado’s legalization effort, said California should quickly develop a legal standard and test for impaired driving and make sure that edible products are properly labeled. He told California lawmakers they shouldn’t be overly concerned with whether President Donald Trump will soon crack down on legal pot. The only federal marijuana arrests in Colorado since 2012 have been related to gang or cartel grows, Hickenlooper testified. In order to legitimize and protect California’s medical and legal pot industry, lawmakers may also have to create banking and financial safeguards for growers. 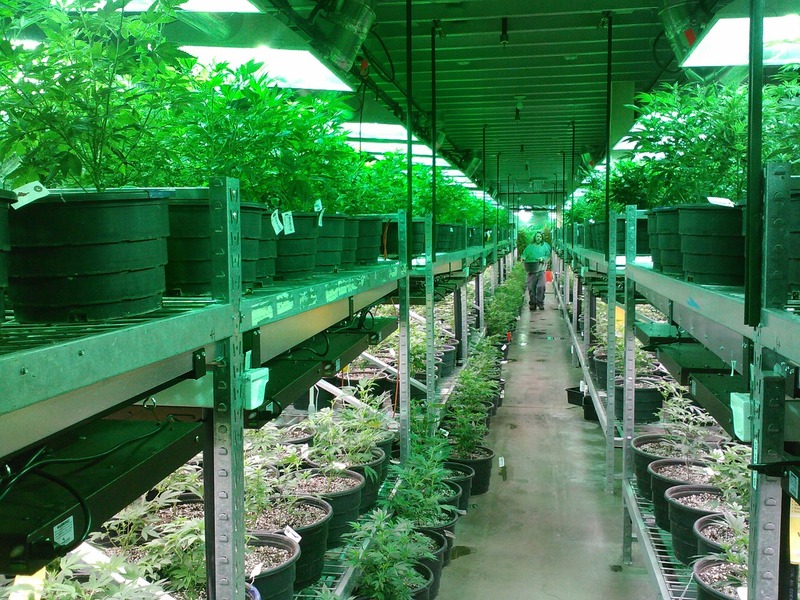 Banks have largely shunned accepting large sums of cash from marijuana businesses. “Additionally, because possession or use of cannabis is illegal under federal law, cannabis cultivators, manufacturers, and retailers and dispensaries typically do not have the same access to federally regulated financial services, such as banking, that other businesses have. Accordingly, cannabis businesses often rely heavily on cash transactions for their operations,” the analyst’s report concludes.